I nabbed an inflight magazine from Sterling Airlines that featured this classic Cycle Chic image on the cover of the Sept/Oct 2008 issue. What a splendid shot. Sterling flies around Europe so if you're planning on coming to Copenhagen, they are very reasonably priced. The magazine is published by Ink Publishing. well i'm happy the airlines are gettting in on the bike action... 10 years ago you wouldn't ever see an ad like that. I love that man's green bike!! What brand is that? 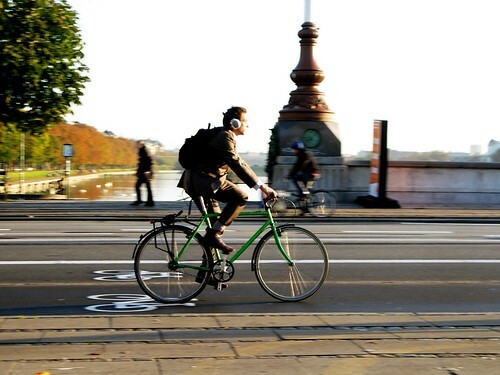 no no no art imitates copenhaguen life"
you have made a universal trend, congratulations! On a recent flight from AMS to CPH this was the first image I saw! 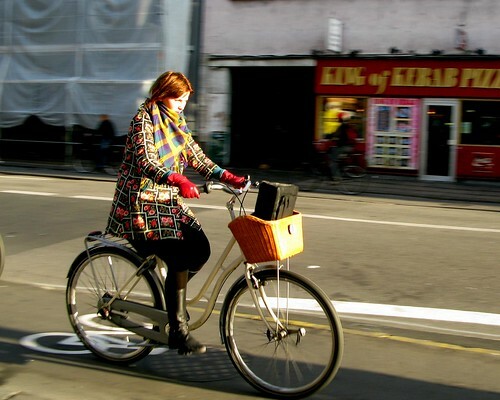 I immediately thought of Copenhagen Cycle Chic and assumed a ton about the Danish culture, all of it true! But this has nothing to do with the Danish brand.